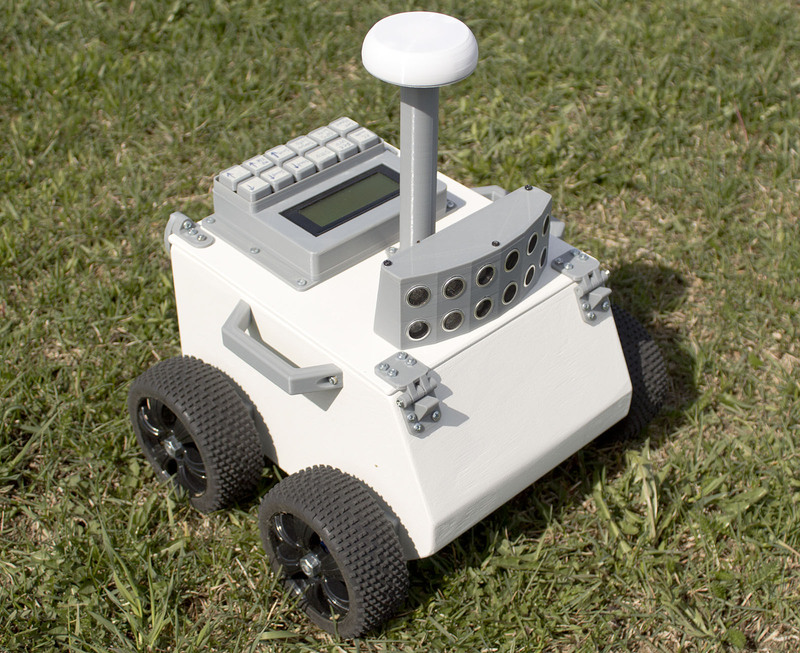 This video shows a robot I have built that is driving between two waypoints using GPS. I built this robot last summer, about a year ago. Back then, I never really managed to the software part of the robot working. The weather became worse outside as the fall came, and a lost interest in this project and started working on other things instead. I wave written all the code myself, apart from the functions used to calculate course and distance between GPS waypoints. I used functions from the TinyGPS library for that. The code runs on an Arduino Due, the robot is using PID control to steer towards the waypoints. 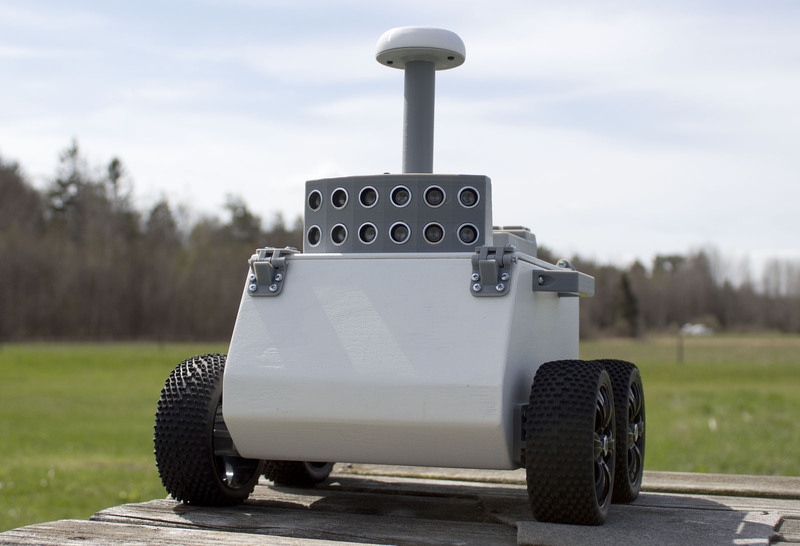 The robot uses a combination of GPS-course and integrating the signal from a yaw-gyro to determine its current course. The robot also has a compass, but it does not seem to work very reliably, therefore I do not use it. The robot also has sonar and other sensors, but they are not used in this video. Expect more videos and info about this robot in the near future. This entry was posted in 3D printing, Arduino, Electronics, Programming, Robots on May 28, 2018 by Axel.